Home / Movies / Lucy Hale, from "Pretty Little Liars" to "Truth or Dare"
Lucy Hale, from "Pretty Little Liars" to "Truth or Dare"
Multi-talented and dynamic, Lucy Hale captured the attention of millions as the star of Freeform’s smash-hit series Pretty Little Liars. For the role of Aria Montgomery, Hale won the People’s Choice Award for Favorite Cable TV Actress in 2014. 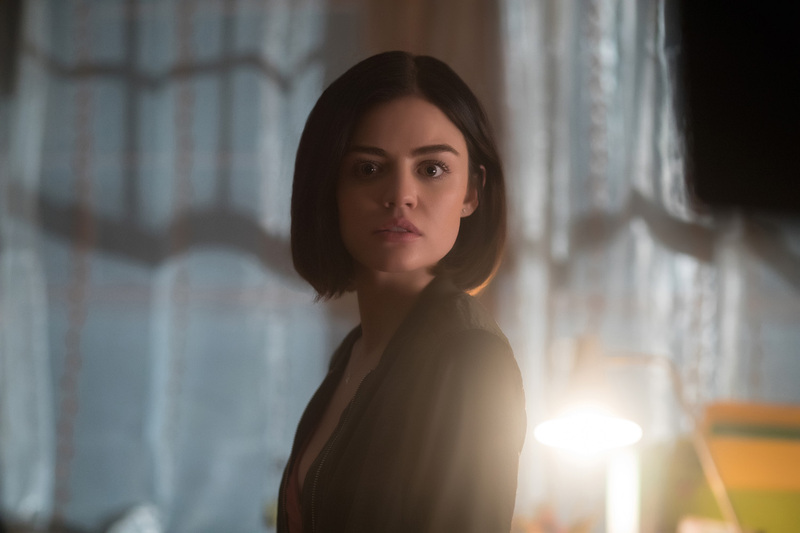 Now, Lucy Hale joins Tyler Posey (TV’s Teen Wolf) in leading the cast of Blumhouse’s Truth or Dare, a supernatural thriller from Blumhouse Productions (Happy Death Day, Get Out, Split). A harmless game of “Truth or Dare” among friends turns deadly when someone—or something—begins to punish those who tell a lie—or refuse the dare. The heart of her tight-knit group of friends, Olivia (Hale) cares more about helping the world at large than she does about taking care of herself. She wants to spend her spring break building houses for the less fortunate, but her best friend, Markie, who she’s known since she was little, convinces her to go on vacation to Rosarito Beach in Mexico. When Olivia and her friends get back—and terrifying moments can no longer be brushed off as coincidences—she has no choice but to accept that the game is real, and that it’s followed them home. Now it’s up to her to convince her friends that this is happening; if she doesn’t, people are going to lose their lives. In Philippine cinemas May 9, Truth or Dare is distributed in the Philippines by United International Pictures through Columbia Pictures.